How to Run a Successful Hockey Tryout | Ice Hockey Systems Inc.
“364 more days until next year’s tryouts – I gotta toughen up.” That famous line from Happy Gilmore rang through my head the day after my tryouts in 2007. I did not bring my A-game, something wasn’t right, I didn’t have the intensity or energy that I needed, I disappointed them. I didn’t fall all over the ice or complain about the net being regulation size, hell I didn’t even get cut……… it was my first year as a head coach and I was the disorganized one running the tryout. I was more nervous than the players and it probably showed. Minutes after I attached the final roster and hit the send button to 65 college students who gave it everything they had over two weeks, I started to questions myself. Did I give everyone a fair shot? Did I pick the right team? Should I have met with players individually? Did I just ruin someone’s life? It was that lack of conviction in me that proved my first tryout as a head coach was not a success. I knew that for my next time around, as Happy would say, I had to toughen up. I knew that it’s just as important as a coach to bring their A-game to tryouts as it is the players. I knew that I had a lot of work to do in order to develop the right structure and set the right tone for the next tryouts I ran. Fast forward 364 days later and I had toughened up. 2008 tryouts were a different story. Complete organization, no questions asked, no second guessing, and total control over the direction I was trying to take the program. It took me a year, but I figured out how to properly run a tryout with confidence and conviction. Setting the tone for your hockey tryouts. This segment will include tips on what to look and listen for, tips for evaluating goalies, printable evaluation sheets, and the 3 types of players that you need on your team. Lets start with the skilled players. There is no question you should select at least 75% of the team based on their overall skill set which includes skating, shooting, passing, puck handling, and hockey IQ. How you and your coaching staff evaluate these skill sets is up to you. This is important, especially at the young ages because these players have the highest ceiling as they move on to higher age levels. Think of these players as the ones who will contribute the majority of your scoring early in the season. The next type of player to look for are players that show a lot of potential. When you interview players ask them if they play other sports and how long they have been playing hockey. There are always some diamonds in the rough lurking in tryouts and it is the coach's job to find them. They may seem a lttile bit rough around the edges but if they are a good athlete then they could easily become one of the top players over the course of a year. Try to find these players with the most potential. Good teams need good glue! Players that treat teammates with respect, work hard, and always show good body language can increase the character of a team and keep the moral high even in the low points of the season. Identifying thse players may take a little more research. Try talking with players you expect to be on-ice leaders to find out what they think of certain players. You may think this is crazy but try watching their parents at the tryout to see if they are too involved or show signs of negativity. We all know that parents can be just as cancerous as the players when it comes to team chemistry. Players with great character will have parents who are positive and not too invloved. Typically the top half or more of the team is not hard to pick, it is the last few spots that are tough. 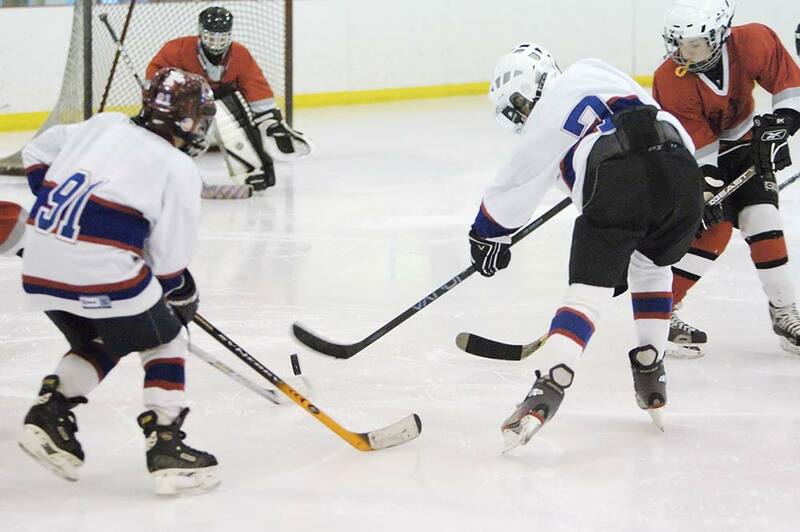 In fact, we have created an entire blog post on this topic alone named YOUTH HOCKEY TRYOUTS: SELECTING A TEAM BY COMMITTEE. This offers a process by which to select teams throughout the organization. It takes pressure off of the coach and director by allowing the team to be selected by a committee of experienced coaches. This is the best method I have seen for eliminating favoritism, politics, money, and parents from interfering with the tryout process. The links to the hockey tryout evaluation sheets have been added to the article above.